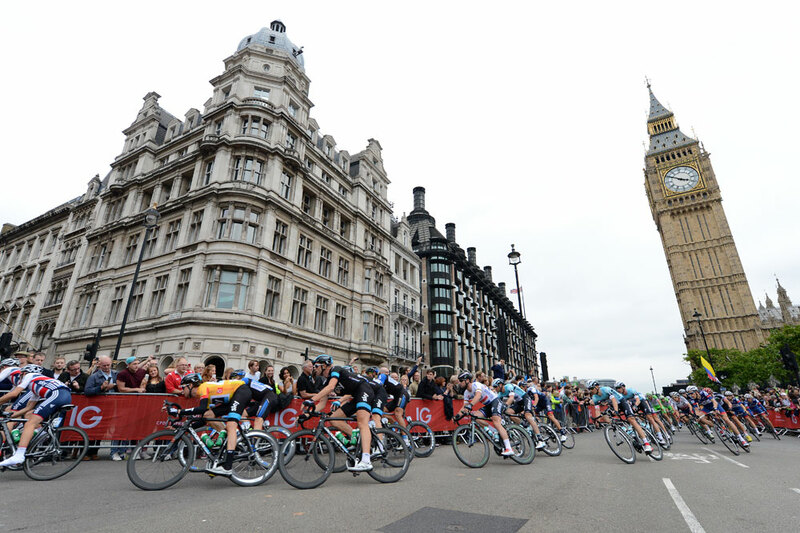 Bradley Wiggins (Sky) sealed overall victory at the 2013 Tour of Britain on Sunday, while Mark Cavendish (Omega Pharma-Quick Step) sprinted to his third victory of the race on an 88.8km course around central London. 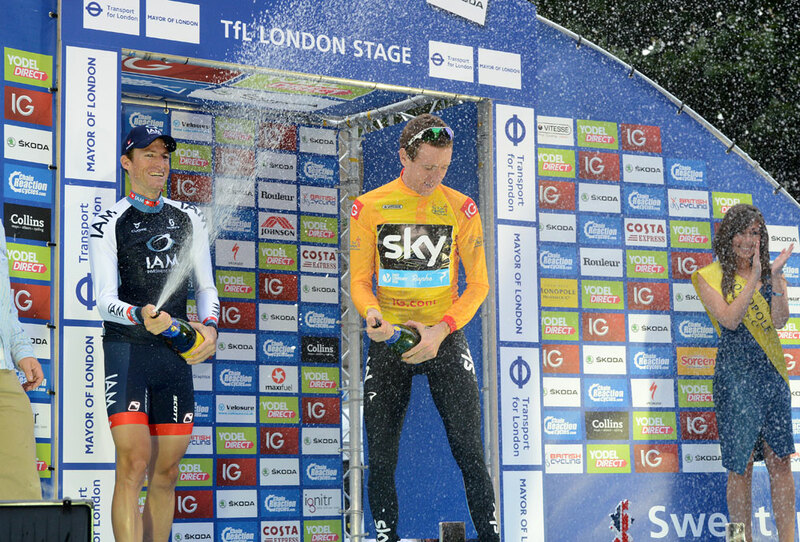 Wiggins entered the stage with 26 seconds on second placed Martin Elmiger (IAM Cycling), and was almost guaranteed victory before the stage even began. The win sees an end to what has been a predominantly miserable year for the 2012 Tour de France winner, and leaves him in good form as he eyes victory at the up coming World Championship Time Trial. 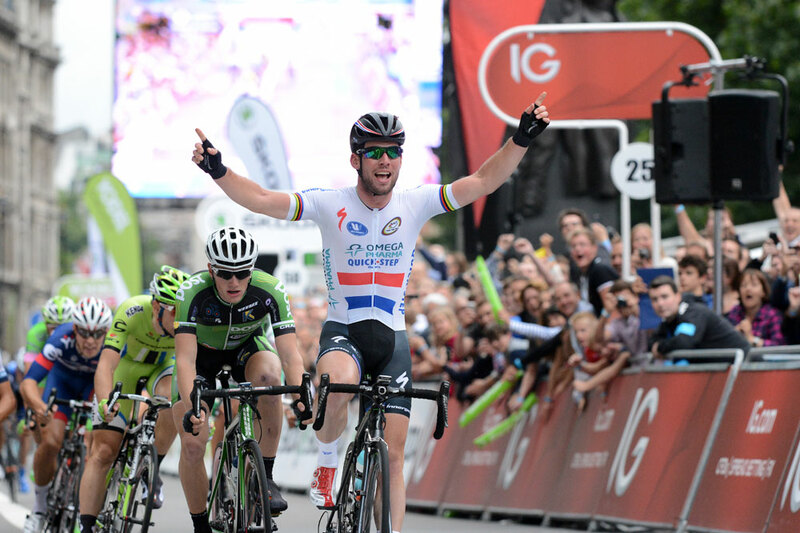 British national champion Mark Cavendish meanwhile, made it ten Tour of Britain stage wins in his career, after he outsprinted his rivals to the line. 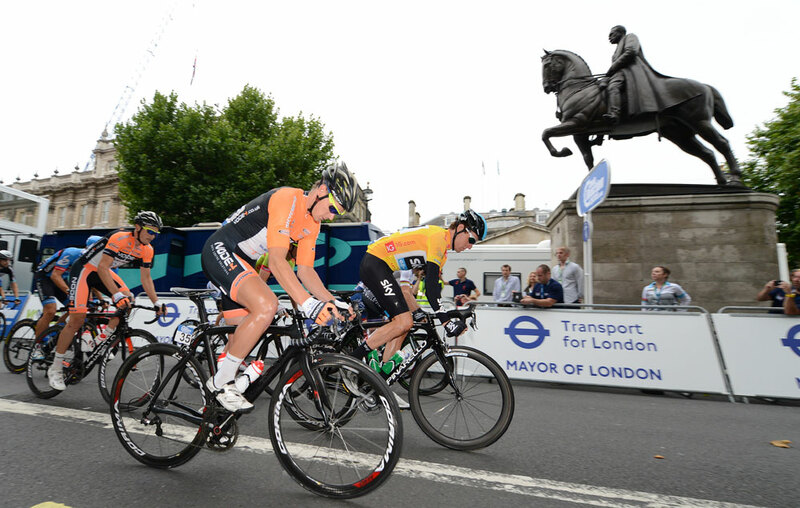 The course lent itself to Cavendish, consisting of 10 flat 8.8km laps around central London, and it looked inevitable that the day would end with a bunch sprint. The Manxman owed a lot of his victory to team mate Alessandro Petacchi, who made a near perfect lead out ahead of the field into the final straight. It was then up to Cavendish to race for the line, battling Sam Bennett (An Post-ChainReaction) and Elia Viviani (Cannondale) for the win, who finished in second and third place respectively. The day began with a break away of six riders; Jack Bauer (Garmin-Sharp), Shane Archibold (An Post-ChainReaction), Andreas Shillinger (NetApp-Endura), Sergio Pardilla (MTN Qhubeka), Pete Williams (IG Sigma-Sport) and Angel Madrazo (Movistar). It was the latter two however, as well as Bauer, who put the real imputus into the break, as each of them looked to take as many intermediate sprint points and bonus seconds as possible, with Williams sitting just five points off sprint classification leader Madrazo at the start of the day. Bauer meanwhile, looked to pick up bonus seconds to push himself into the top five in general classification. There were three intermediate sprints on the circuits, coming on laps two, six and eight, and by the time the break had crossed through the second, Williams sat just one point off Madrazo. This made an exciting climax to the third and final sprint and it was Williams who managed to scrape through in third to take the lead in the classification, while Madrazo had to rely on second place Alex Dowsett (Movistar) to take as many points away from Williams as possible. It was, in the end, misery for Williams as the commissaires retrospectively disqualified him from the second sprint for pushing Madrazo, handing the Spaniard the classification victory having already taken the glory in the mountain’s classfication before the stage had begun. The break was inevitably caught, and save for brave solo break by British time trial champion Dowsett, the peloton prepared for a furious sprint finish to the eighth and final stage. It was, as ever, Cavendish who came out on top in the sprint and completed a British double as Bradley Wiggins finished in the main group to seal the gold jersey, bringing a fine end to one of the toughest and most exciting races in the Tour of Britain’s 10 year history.